Ms. Darbus: You must remember, young thespians, learning is never seasonal, so do allow the shimmering lights of Summer to refresh and illuminate your fertile young minds. Chad Danforth: What is she talking about? After the success of the 2006 wildly popular Disney Channel TV movie, High School Musical, a phenomenon took place on the horizon where not only did the film made theater cool what Harry Potter did for reading books and magic, but it also launched the number one soundtrack of the year followed by concerts and world tours. Yet, a sequel was inevitable and it doesn't have the same flow as the original. 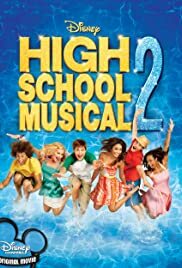 High School Musical 2 takes place a year after Troy (Zac Efron) and Gabriella (Vanessa Hudgens) became an item to the school where now its summer time with the majority of all the East High Wildcats having plans for summer jobs. Sharpay Evans (Ashley Tisdale) and her dweeby brother Ryan (Lucas Grabrel) have plans for the summer with the bratty sister wanting her eyes on the prize: Troy. She'll do anything to get it, even if it means hiring Troy at a country club where he'll work if he can get the East High Cats to work there also, including friends Chad (Corbin Bleu), Taylor (Monique Coleman), Kelsi (Olesya Rulin) and his sweetie, Gabriella. The good: Ashley Tisdale's performance was gritty and did not change one bit throughout the film as the evil Sharpey Evans. To be honest, it is the best performance out of film compared to on looker Zac Efron. The OK: The soundtrack itself isn't the same as the original though only a couple of songs are worth hearing from Ashley Tisdale's "Fabolous" to the duet of Zanessa (Zac Efron and Vanessa Hudgens) Gotta Go My Own Way. The Bad: In my opinion the film would've been better if everybody including the protagonist (Zac) had better screen time like in the original movie. 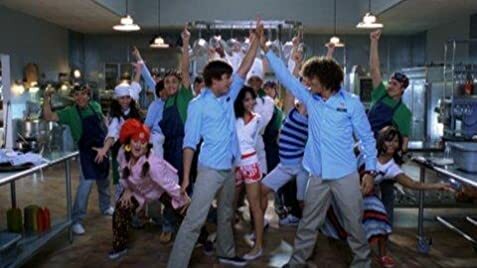 Even during the conflicts all of the major characters from Gabriella, Taylor and Chad have little less screen time and giving them sappy lines where in the end, all is forgiven. To Conclude: Maybe the third movie will be the charm.